The easy and fast way for online shopping in Egypt is with cash on delivery, and going with the best shopping site in 2019 will save you in costs, and trouble. 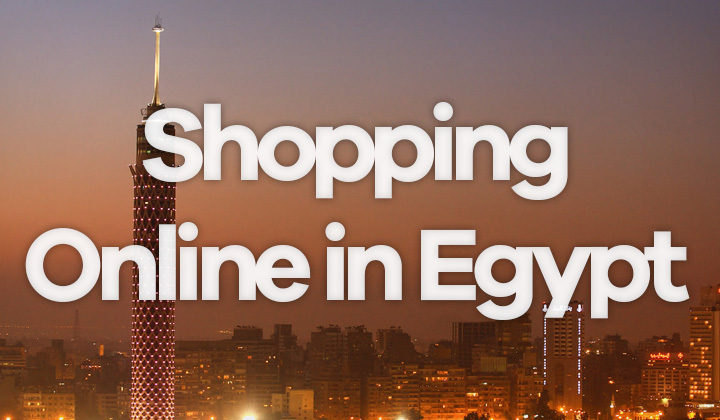 So what’s the best online shopping site in Egypt? It’s Souq which is Egypt’s biggest and most popular e-commerce website. Shopping for fashion items in Egypt!? Check out Elabelz Egypt (more info below). It’s not just an online store, but a buyer/seller portal and marketplace, which adds to the already massive stock of products fulfilled by Souq. Pay with cash on delivery (COD), credit and debit cards (Visa or MasterCard), STC Qitaf, installments and Souq Wallet. Popular products on offer at deals of the day page. Once your shopping basket contains at least 250 EGP worth of “fulfilled by Souq” marked items, you are eligible for free shipping. Some heavy items such as washing machines, refrigerators, and air conditioners are excluded. Domestic shipping in Egypt normally takes 2-4 days. To find out final shipping costs, and available delivery methods you need to go through the checkout process, without committing to payment. The maximum order value for cash on delivery orders is 25,000 EGP. Simply choose “COD” when asked for payment during checkout. If you don’t have a verified phone number attached to your account, it will prompt you to do that too. Otherwise, simply fill in your address in Egypt and proceed to finalize your order. Please note, that strictly cash only is accepted to the courier serviceman. A small fee in Egyptian pounds will be added to total cost of the order. Delivery is available nearly nationwide, including Egyptian cities such as; Aswan, Cairo, Zagazig, Gizeh, Desouk, Damietta, Shubra El-Kheima, Ismailia, Asyut, Luxor, Suez, Port Said, as well as Alexandria to name examples. Click here to find out more about Souq in Egypt. Those looking for the most popular, top online clothing retailer in Egypt look no further than Elabelz which has it’s own website for Egyptian buyers. They also offer cash on delivery. The company is based in UAE, and will ship items to Egypt nationwide for a 180 EGP fee, no matter what the size of order is. Delivery to Egypt takes 5 to 7 working days. Any questions about e-commerce stores in Eguypt? What’s the best online shopping site in your opinion? Sometimes affiliate links are present within the hyperlinks that are placed around the text on these reviews, guides. This helps me out tremendously.